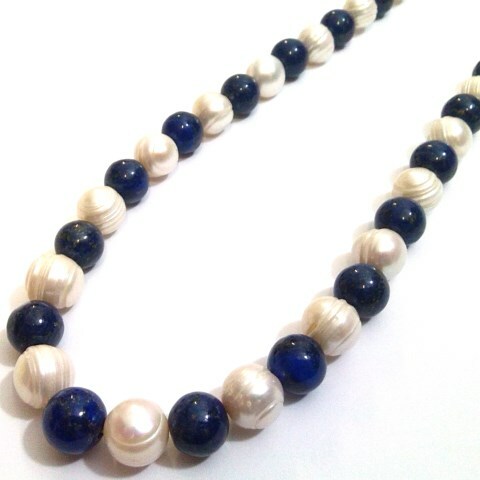 Large 'ringed' white pearls (9 - 10 mm) and Lapis Lazuli beads combine to great effect in this fabulous necklace. 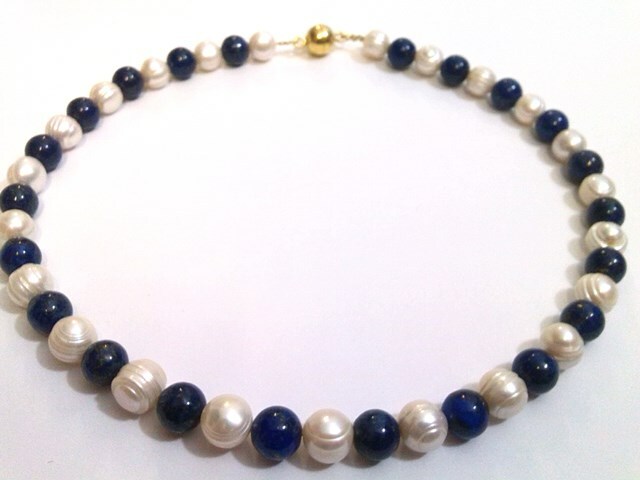 The lustrous sparkling white of the pearls and subtly gold-flecked hues of the polished deep blue stones is a beautiful combination. ​We've found that the GP loop and toggle clasp works very well with this piece or let us know if you'd prefer a different style. 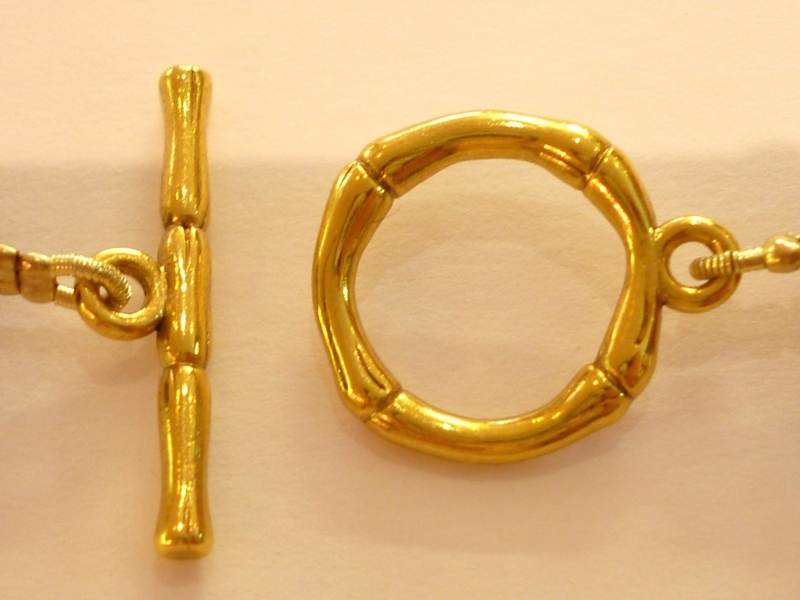 Please click here to see our clasp gallery.